"Oh my! 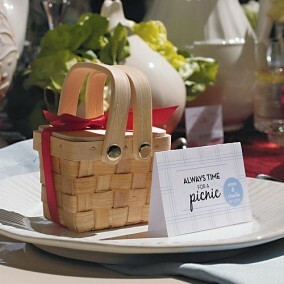 Can these miniature picnic basket wedding favors be any cuter? 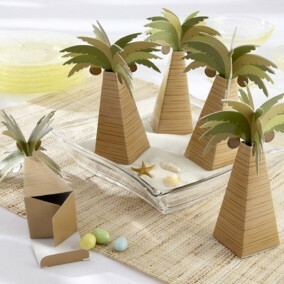 They add the sweetest touch to a rustic or country wedding, garden-themed celebration or baby shower. 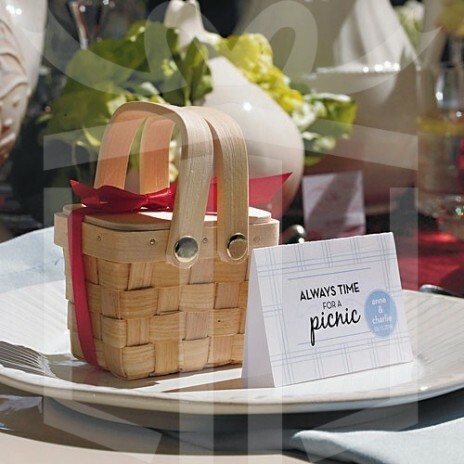 Each small wicker picnic basket has a woven design with double handles to look like a miniature replica of the real thing. 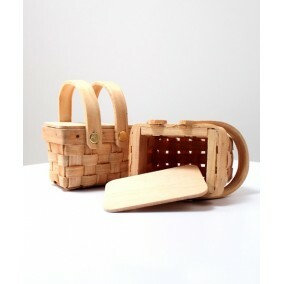 Included is a flat, solid lid; the lid is not attached, but it can easily be held in place with ribbon tied in a bow. 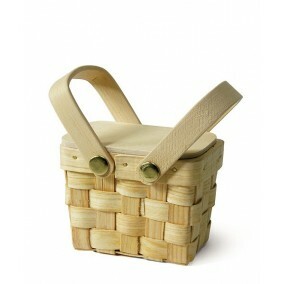 The lid can also be removed so larger sweets, cookies or treats of any sort can be placed inside. Sold in packages of six, they can be filled with a few chocolate kisses, conversation hearts, jelly beans, flower seeds and more. 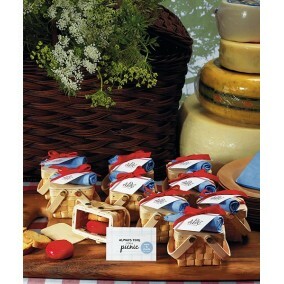 Add a decorative touch with a thank you sticker or label. This item is sold in packages of 6, 7.6 long x 5 deep x 7 cm high.